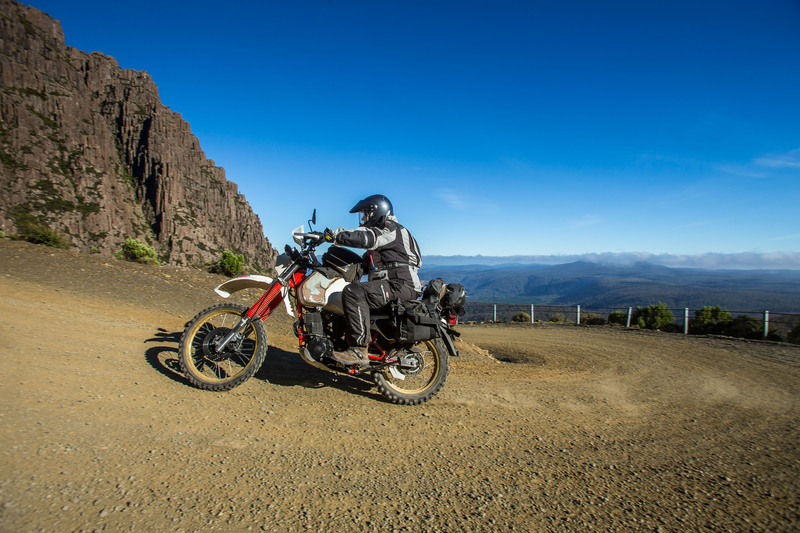 Ever wondered how good the ADV riding is Tasmania? 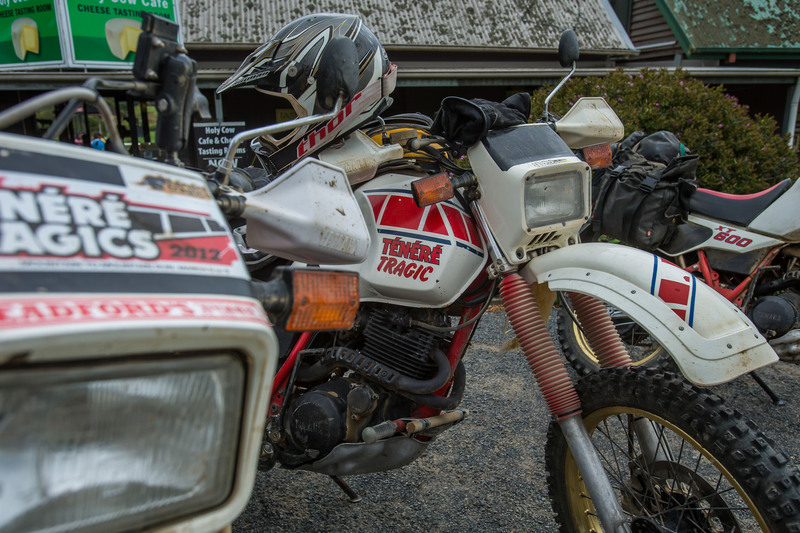 The Tenere Tragics did and after their recent 2017 Tasmanian Devil Run, they’ll tell you it delivered endless doses of Tenere goodness. 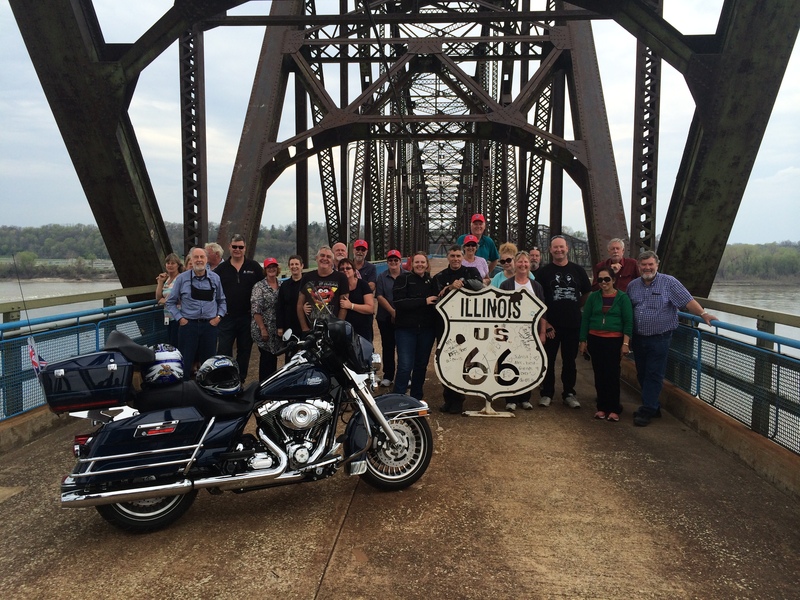 It’s the taste of two-wheel travel that’s on everyones’ lips these days. 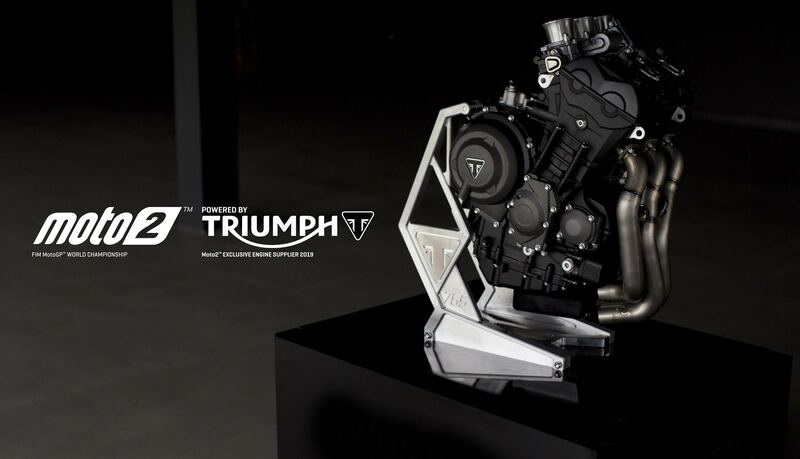 To some it’s the new-found motorcycling ‘demographic’ that manufacturers left, right and centre are hitching their wagon to. But to others, the spirit of adventure has long been alive and kicking, which is precisely the case with Yamaha’s revered Tenere brand. Launched in 1983 with the original fat-tanked Japanese adventure bike, the Yamaha XT600ZL, the Tenere spirit has inspired countless overland adventures around the globe in the 34 years since. Here in Australia, true Tenere devotees have been meeting up for the past seven years for the annual Tenere Tragics Run, with the recent 2017 Run being hailed as the best-ever as the Tenere faithful took aim on the adventure riding paradise known as Tasmania. For most Tragics it was their first visit to the Apple Isle. Five days and just over 1,800km later, all the Tragics were saying the trip across Bass Strait would not be their last. So just what was it that made the Tasmanian Devil Run such a memorable affair for the Tragics? “Any week spent in the saddle of a Tenere is a good one,” Clubby – aka Captain Tragic – enthuses. 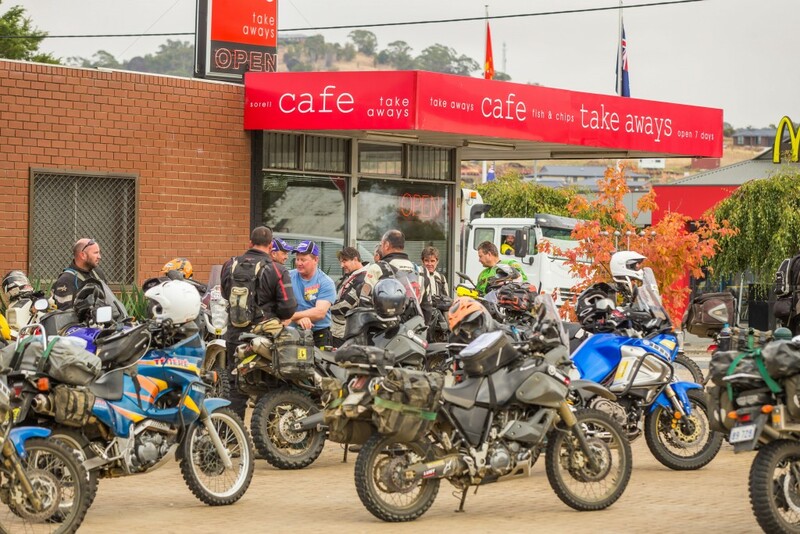 “But when it’s a week on a Tenere in Tasmania, with 75 or so of your closest Tenere riding brothers and sisters, well, it just doesn’t get any better. 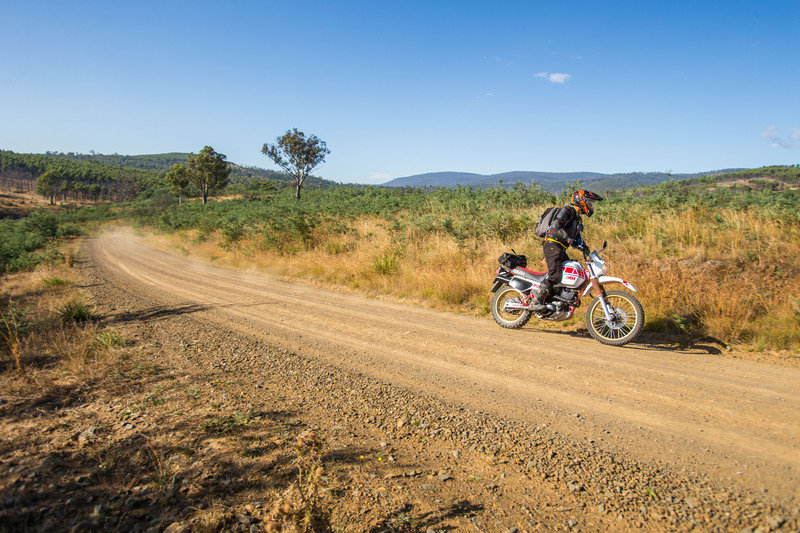 For an island so relatively small in the grand scheme of the wide open spaces of continental Australia, Tasmania punches way above its weight when it comes to the amount of ADV-riding treats packed into each and every square kilometre. On the Captain’s scale of Tenere Goodness, Tassie knocked it fair out of the park. A posse of 75 Tragics lined up for the Tasmanian Devil Run, the action kicking off early with the Spirit of Tasmania ferry crossing from Melbourne to Devonport, before they descended on the plush Country Club Casino resort at Launceston for a pre-Run adventure skills session with MX legend and Yamaha bLU cRU ambassador Stephen Gall. Then came the official Welcome dinner and briefing for the week’s activities, where old friendships are rekindled and many more new ones made. What brings each and every Tragic together is the bike – the Tenere. They might be young, or old, and come from near, or far, but every Tragic has a passion for the bike: they are Tenere Tragics, indeed. The next morning, it was on. The Tragics are given daily route sheets to self-navigate. The route sheets include directions, warnings and information on fuel and food stops and local attractions. Barely 20 minutes after clearing the outskirts of Launceston, the Tragics hit the gravel and less than an hour later were making the eye-popping and sphincter puckering climb up Jacob’s Ladder at Ben Lomond National Park. What a blow-out of a rock garden that place is. Seemingly endless tracts of pine forest followed before morning smoko at the Pyengana Dairy farm in the paddock, and then it was on to lunch and fuel on the east coast at St Helens, followed by yet more forest riding and a run down Elephant Pass to a stop at the Bicheno Motorcycle Museum. Then came the final run for the day down the coastal highway to the first overnight stop at Swansea. Day one and the Tragics had almost 400km in the can with four more days of Tenere Goodness to go. Perfect. 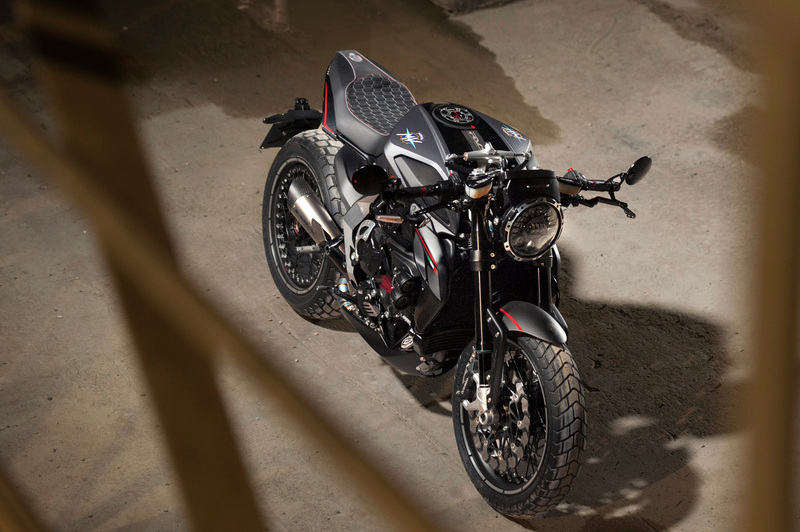 While the current generation XT660Z Tenere and XT1200Z Super Tenere models make up the bulk of the Tragics posse, the Tenere legend arguably lives largest of all amongst the Tragics who rumble along on the original XT600ZL singles and thundering XTZ750 Super Teneres. Seven first-model ZLs lined up this year – remember, these jiggers are now 34 years old – and they just keep on thumping on. As do their owners, like 65-year-old David ‘Beak’ Murray from Victoria, the oldest entrant in this year’s Run. Good ol’ Beak and his ZL motor along good and hard, the bike having seen duty in the Wynn’s Safari back in 1985 – under Beak’s backside! All these years later they’re still a team. 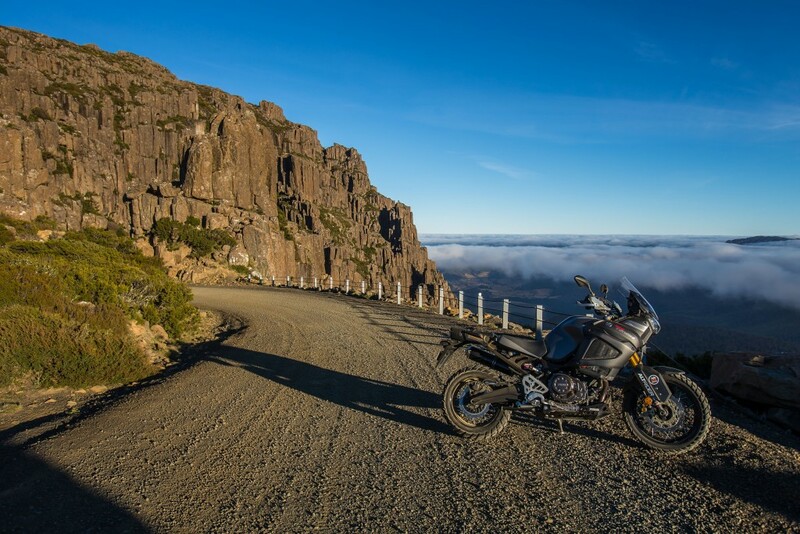 Meanwhile north Queenslander Graeme Baker turned up in Tassie with no less than two Tens on his trailer: his regular mount, an XT1200Z Super Tenere, and a ZL that he purchased in country Victoria just before boarding the ferry in Melbourne. The restored ZL looked a good ‘un, and after a quick shakedown ride in Launceston before the off, he made the call to ride the ol’ banger on day one … and never got off it! Yep, his 1200 stayed on the trailer, his wife Gail driving the tow car as one of a number of WAGS (wives and girlfriends) who shadowed the Tragics pack around the island. As for the legendary twin cylinder 750 Super Ts, four fronted for the Tassie Run, the stand-out once again this year being the immaculate Sonauto Yamaha Dakar Rally team replica of Mudgee, NSW’s Chris Kirk. Fair dinkum, the big blue bomber looks so good, you reckon Stephane Peterhansel himself is going to wander up and throw a leg over it at any moment. Day two saw the route head up into Tassie’s central highlands lakes district before sweeping back east then south to deposit the Tragics at historic Port Arthur for the second night. The next day the Tragics rumbled right through the guts of Hobart’s CBD on the way up to Mount Wellington and its stunning views of the city in glorious sunshine. Next up came a coffee hit at local Hobart Yamaha dealer Horizon Motorcycles, followed by the afternoon’s run south-west on the sublime blacktop stretch out to Strathgordon’s Pedder Wilderness Lodge for the next overnight stop at stunning Lake Pedder. What a glorious location and a must-visit for any biker on a Tassie tour-of-duty. Just before dinner time another ‘Tragic’ rolled up at Pedder – none other than Aussie Yamaha Yamalube Factory Racing team Dakar Rally competitor Rod Faggotter. Rocket Rod is a favourite with the Tragics, having been guest trail boss for the 2013 Tragics Run staged in his hometown of Longreach in central Queensland. Gally hosted a comprehensive Q&A session with Rod that night, which had the Tragics hanging on every word, and Rod rode with the Tragics for the remaining two days. A rider more used to 900km days at Dakar spent ripping on a WR450F rally bike, Rocket Rod is slowly but surely becoming more accustomed to the latte lifestyle of your average adventure rider on the Tragics Run … well, maybe. Continuing their clockwise lap of the island, day four steered the Tragics back up in the central highlands and a visit to the Waddamana Power Station Museum, which is at the heart of Tasmania’s mighty hydro-electric scheme. A fair old way from anywhere, the Museum is a ripper and given the average Tragic’s penchant for whopping great lumps of metal, the cut-away turbines and hydro scheme relics kept some Tragics entertained for ages. Next came lunch at Derwent Bridge pub and then a run through the remote south-west to the next-to-last night stopover amongst the moonscape terrain of the old mining township of Queenstown. With big blue skies continuing, the fifth and final day’s instalment of Tragic Goodness took the pack across to Strahan and morning smoko at Zeehan, before a punt ride on the barge at the lonely outpost at Pieman River deposited them at the southern end of the remote Western Explorer route. 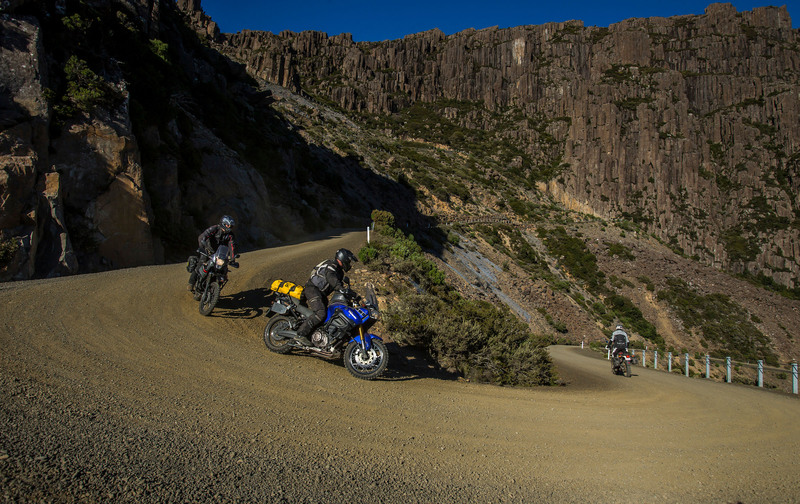 This run is another ADV riding ripper along, as the name suggests, the remote north-west coast of Tassie. It’s wild and remote yet spectacular terrain and it’s not until you get all the way up to Arthur River before you regain any signs of civilisation. A final stop for a late pub lunch at Merewah then saw the Tragics make the run up to Smithton at the very north-west corner of the island, where the customary group photo shoot and Farewell Awards dinner at Tall Timbers Resort would wind out proceedings. 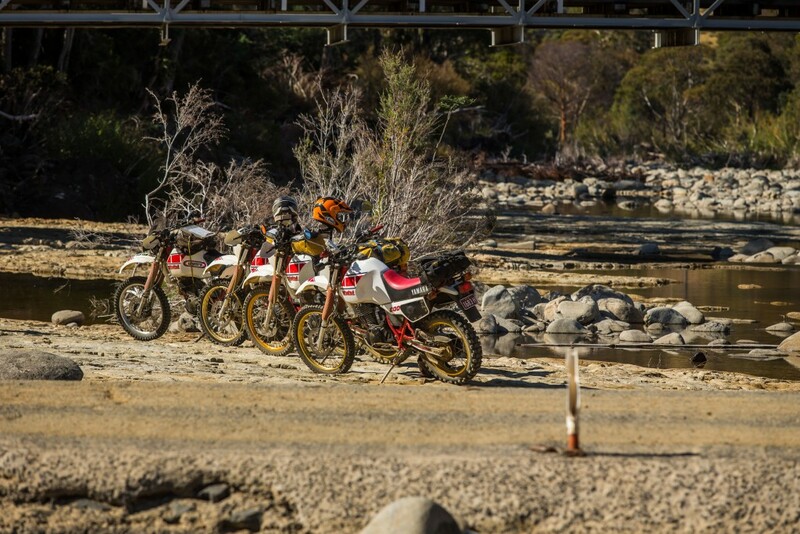 All 75 Tragics that started the Tasmanian Devil Run finished the Run, which is a little out of the ordinary given the large number of riders, the large number of kilometres and the large chance for incidents. However post-ride medical checks after returning home did unearth a broken thumb and broken ankle were souvenirs for two Tragics … doh. As for that all important Tenere Goodness, it sure was there in spades all week long. And you can bet there will be plenty more the next time the Tragics gather to overdose on the Tenere spirit. If you want to have a swig from the fountain, get yourself a Tenere and get along.